News and views from the heart of Vance County, N.C.
Twenty-one new graduates of Vance-Granville Community College’s two-year Radiography program were honored in a May 9 pinning ceremony in the college’s Civic Center. 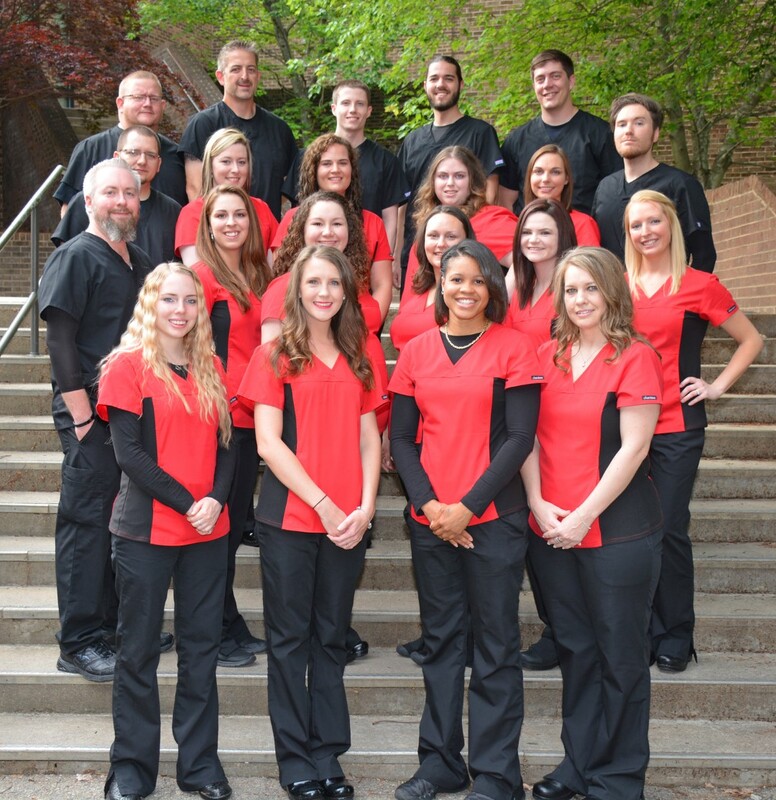 The Radiography Class of 2016 included Preston Lin Verble of Bahama; Christian Chaney, Ashley Nichole Keith and Canon O’Briant, all of Durham; Jessica Lynn Loera and Hannah Marie Wyatt, both of Franklinton; James Hinks of Henderson; Elizabeth Nichole Cooper, Brian Holmes, Jake Kiley and Courtney Michelle Mitchell, all of Louisburg; Jonathan Wayne Robbins of Oxford; Sarah Elizabeth Sutton and Brian Heath Winslow, both of Raleigh; Anna B. Filyaw and Candace Leigh Gentry, both of Roxboro; Elizabeth Rose Twisdale of Townsville; Nicholas LaMont Kemp and Haley Elizabeth Watkins, both of Wake Forest; Taylor Marie Goubeaux of Wise; and Terrell Johnson III of Youngsville. In welcoming remarks, VGCC Vice President of Academic and Student Affairs Dr. Angela Ballentine congratulated the graduates and, as a colleague in the field of radiologic technology, former instructor and former program head, welcomed them to the imaging profession. She shared some information about the diverse class, noting that six graduates had been raising children during their studies, eight had earned Dean’s List or President’s List honors, and six already held college degrees in other fields. Elizabeth Twisdale was presented with the Academic Achievement Award for having the highest GPA in the class. Nicholas Kemp received the Mallinckrodt Award for outstanding clinical performance. Elizabeth Cooper received the Joint Review Committee on Education in Radiologic Technology (JRCERT) Student Award of Excellence. The students voted for Patrick Castro of Duke University Medical Center as the top technologist at the clinical sites in which they received their 900 hours of practical training, while Ashley Lorbacher of Southpoint Triangle Orthopaedic Center received the JRCERT Award of Excellence for Clinical Educators. The Clinical Affiliate Award of Excellence went to Duke Regional Hospital. He and other class officers then surprised faculty members Angela Thomas, Stacey Soles, Anthony Twisdale and Lewis Daughtry with gifts from the class to show their appreciation. Graduates received pins from Dean of Health Sciences Angela Thomas and recited the Radiographer’s pledge as the ceremonies concluded.